Impress your guests with this perfect finger food. 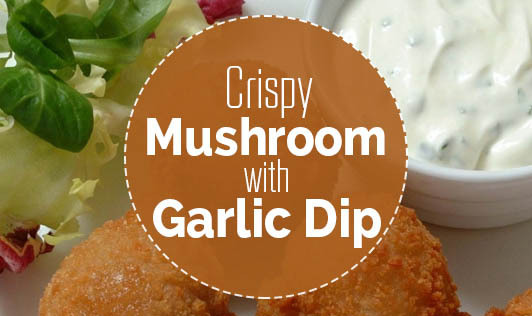 Crispy mushroom with garlic dip makes for an ideal starter at parties. Add garlic paste, milk, and ketchup and mix well. Wash the mushrooms and keep aside for 15 to 20 minutes. Mix all the ingredients, except bread crumbs in bowl. Add mushrooms and toss well. Heat oil in a nonstick pan, roll the mushrooms in bread crumbs, and shallow fry until golden brown from all sides.